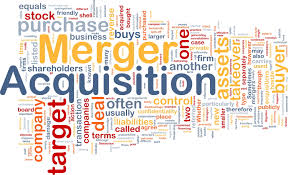 Mergers and acquisitions are used for improving the competitiveness of companies and gaining an advantage over other firms by gaining greater market share, broadening the portfolio to reduce business risk, entering new markets and geographic spread, and capitalizing on economies of scale. Corporate worldwide have been aggressively building new competencies and capabilities and going in for markets based diversification leading to increasing in a number of mergers and acquisitions globally. Closing the deal is just the beginning. The majority of acquisitions fail to meet pre-deal expectations, and the real challenge for any company acquiring a business is ensuring that the acquisition delivers the value that motivated the decision to do the deal in the first place. In a low growth environment, management are under increasing pressure from shareholders to focus more attention on how they achieve this. India has emerged as one of the top countries with respect to merger and acquisition deals. Indian companies have been actively involved in mergers and acquisitions in India domestically as well as internationally. The trends of mergers and acquisitions in India have changed over the years. The immediate effects of the mergers and acquisitions have also been diverse across the various sectors of the Indian economy. Among the different Indian sectors that have resorted to mergers and acquisitions in recent times, telecom, finance, FMCG, construction materials, automobile industry and steel industry are worth mentioning. With the increasing number of Indian companies opting for mergers and acquisitions, India is now one of the leading nations in the world in terms of mergers and acquisitions. 1. Statutory compliance with the objective of ensuring smooth sailing within the given legal framework. 2. Finance where the objective is to attain the planned synergies. 3. Human Resource with the objective of harmonizing the workforce culture through effective communication. The significance for the purpose of integration though is at various time intervals where the planning for finance & legal aspects are critical at the time of pre-integration stage and reduces through the integration process. Subsequently, human resource integration is more critical at the time of actual integration stage. 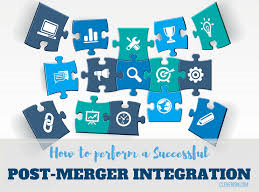 All the factors relating to post merger obligations such as estimated cost, expected timeframe, legal issues should be duly analyzed along with pre merger obligations by the merging entities before taking the final decision of merger. 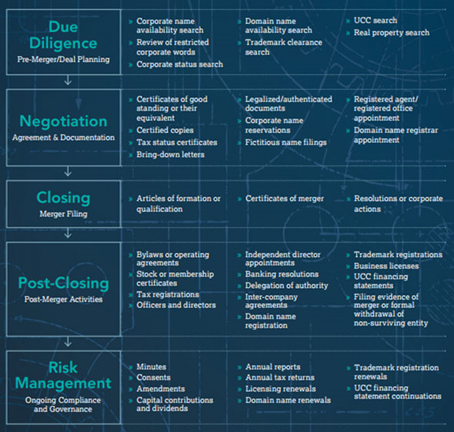 Post Merger Obligations can be divided into Administrative Acts and Statutory Compliances. The time frame and cost involved for the completion of Administrative Acts and Statutory Compliances depends upon size of the merging entities. If there are any Government Approvals or Licenses etc. in the name of merging entities then the respective Government authority or license issuing authority will have to be intimated about the merger. As a general perception, the approach to corporate law is more of compliance oriented, to ensure the smooth approval for the merger. But there are provisions in corporate laws which put a check on the organization, in the post-acquisition scenario. Under Regulation 7 of FEMA 2000, once a scheme of merger, demerger or amalgamation has been approved by the court, the transferee company (whether the survivor or a new company) is permitted to issue shares to the shareholders of the transferor company who are persons resident outside India, subject to the condition that the percentage of non-resident holdings in the company does not exceed the limits for which approval has been granted by the RBI or the prescribed sectoral ceiling under the foreign direct investment policy set under the FEMA laws. If the new share allotment exceeds such limits, the company will have to obtain the prior approval of the FIPB and the RBI before issuing shares to the nonresidents. The competition Act uses a composite expression – combination to cover different modes, viz. merger, acquisition of shares, assets, acquiring control of an enterprise. The objective of any competition law is to ensure that persons or enterprises obtaining the autonomy through merger or acquisition do not impair the structure of competition. What bothers the Post acquisition scenario is a provision of Section 20(1) of the Act, where the CCI (Competition commission of India) can inquire into any combination, so moto or upon receiving information, within one year from when such combination takes effect. The pre-notification option granted to enterprises under Section 6(2) and the power of the CCI to inquire so moto under Section 20 may lead to an anomalous situation, since companies that do not exercise their option under Section 6(2) are not automatically exempt from the investigations of the CCI. Duties and taxes play a significant role in structuring strategy, as they bear a direct effect on the cash flow and the bottom line of the entity post acquisition. Impact on Inputs/Work in progress: As on the appointed date, the transferor company may have credit lying either in stock or in work in progress. Under such circumstances, the credit has to be transferred to the transferee company. However, the credit shall be allowed only if the stock of inputs or work in progress is also transferred along with the factory to the new site of ownership and the inputs on which credit has been availed of are duly accounted for to the satisfaction of the Tax Dept. Carry forward of credits: It is been stated that the transfer of CENVAT credit shall be allowed only “if the stock of inputs as such are in the process, or the capital goods are also transferred along with the factory to the new site or ownership and the inputs or capital goods on which credit has been availed of.The transferee company is entitled to avail of credit on the inputs which are to be used in the manufacture of the final product after filing a declaration. It is submitted that notwithstanding the changes in ownership the unit remains the same for all practical purpose for compliance with the excise formalities and therefore there is no restriction in availing excess credit. Transfer from Backward area, SEZ, etc. : Where any undertaking being the Unit which is entitled to the deduction under THE SPECIAL ECONOMIC ZONES ACT, 2005 is transferred, before the expiry of the period specified, to another undertaking, being the Unit in a scheme of amalgamation or demerger, then no deduction shall be admissible to the amalgamating or the demerged Unit, being the company for the previous year in which the amalgamation or the demerger takes place; the provisions shall, as they would have applied to the amalgamating or the demerged Unit being the company as if the amalgamation or demerger had not taken place, & would be applicable to Amalgamated company. Integrating undertakings/Factories: Where the plants/factories of the transacting entities are situated in the same locality where they are attached via bridge or road or any other suitable means, they can be integrated into as one plant. If the output of one factory/plant becomes input for another one, then the transfer of material would fall into the category of captive consumption and such transfer would be exempt from excise duty. Dematerialization of shares of Pvt. Ltd companies: Before acquiring a private company, one can get its shares dematerialized with NSDL and CDSL. Where the private company‘s Articles of Association do not contain a provision for dematerialization, it has to be amended accordingly. This would save on the stamp duty on transfer of shares to be paid by the Acquirer Company. Where the transfer takes place between two subsidiary companies each of which not less than 90% of the share capital is in the beneficial ownership of a common parent company. However, stamp duty being a state subject the above would apply only in those states where the state government follows the above-stated notification of the Central Government otherwise stamp duty would be applicable irrespective of the relation mentioned in the above said notification. ii. As Branch: Where the transferor company is integrated into a branch, carry forward of losses will be allowed irrespective of whether the transferor company is a foreign company or a domestic company. The effect of Branch’s operations is directly affected in the books of the acquiring company. i. Scientific Research expenditure [Sec 35(5)]:Where, in a scheme of amalgamation, the amalgamating company sells or otherwise transfers to the amalgamated company (being an Indian company) any asset representing expenditure of a capital nature on scientific research, the amalgamating company shall not be allowed the R&D expenses, The provisions of this section shall, as far as may be, apply to the amalgamated company as they would have applied to the amalgamating company. But in case the resulted company has sold or otherwise transferred the R&D asset than the expenditure would not be allowed. ii. Statutory dues paid after due date [Sec 43B]:It is submitted that the amount paid on account of the statutory dues after the last date of the previous year or the appointed date would be deemed to have been paid on behalf of the amalgamated company and not by the amalgamating company. Even though theoretically this appears to be difficult, the provisions will have to be read in a reasonable manner, as the liability discharged would have to be treated as liability of the amalgamating company, even though as per the scheme, it is acting on behalf of the amalgamated company after the appointed date and it should be allowed. i. Small scale industry issue: In this context, the successor of business will be eligible to get the deduction for the unexpired period. The difficulty is, however, likely to arise in case the deduction is granted u/s. 80-HHA or 80-I/80-IB etc, on the basis of SSI status and if on amalgamation, it ceases to be SSI, then whether the amalgamated company will be able to claim the deduction in view of the specific provisions of sec, 80HHA (3). Deduction u/s. 80-I, cannot be withdrawn even after amalgamation merely because it ceases to be SSI after amalgamation if the deduction is otherwise allowable to the amalgamated company. ii. Deduction based on undertaking: Another issue in this context that may arise is, whether deduction u/s. 80-IA/80-1B etc. would be of the entire profit of the amalgamated company (including profits of the other units of the amalgamated company) or only on profits of the amalgamating company (which has got merged) by treating it as a separate unit. It is felt that deduction u/s.80-I/80-IA/80-IB which are qua “the undertaking” and not the entire profits of the amalgamated company and therefore, will be restricted to the profits of the eligible unit only. √ To reorganize the organization structure with regards to employees, as the employees of the Transferee Company will become a part of the Transferor Company and they will have to be suitably designated. The number of Administrative conducts and the Statutory Compliances which needs to be complied with, changes according to the nature of work and organization structure of the merging entities. Statutory Compliances should be followed in strict sense and should be completed as soon as possible so that the merged entity may not face any legal hurdle. Statutory Compliances also become a bit easy as the scheme of merger is approved by the Shareholders of the Company and the Hon’ble High Court. Administrative conducts should also be completed as soon as possible and extra care should be given especially with regards to the employees, clients and customers of the Transferor Company. Employees of the Transferor Company become a part of the Transferee Company post merger, which involves a change in their work environment all together. It needs to be ensured by the Management of the Transferee Company that the Employees of the Transferor Company get the respect which they used to get earlier. If the employees are not satisfied with the new management they may leave the Company and such an act will not work in favor of the merged entity, as the employees are vital assets of the Transferor Company. Similarly post merger, the Clients and Customers of the Transferor Company should not have any complaints with regards to the service or the quality of products of the transferor Company. Post Merger Obligations have an important role to play in order to achieve the desired results after merger. A careful Due Diligence of the Pre and Post Merger Obligations will help the merging entities to take an informed decision before entering into a merger. Also the execution of Post merger Obligations should ensure that they are carried out in time and with adequate care so that the merged entity achieves the desired results. 1. Identify the List of Vendors from whom Transferor Companies likely to receive payment and advise them to make payment in the name of Transferee Company. 1 Intimation to Banks of Transferor Companies seeking closure of the Bank Accounts and transfer of the Balance to Bank Account. 2 Surrender of PF/ESI Code, Registration under Shops & Establishments, if any of the Transferor Companies. 3 Surrender of PAN/TAN/ GST and Transfer of TDS/GST Credit to Transferee Company. 4 Surrender of any other license/approvals, permission in Transferor Companies (MSME Registration/IEC etc). 8 Transfer of Immoveable Properties of Transferor Company into Transferee Company and Intimation to HSIIDC. 10 Amendment to existing Agreements where Transferor Companies are parties. 11 To apply for adjudication for stamp duty on NCLT Order and payment. Post acquisition integration process is a ticklish issue which, most of the time gets well documented at the pre-integration stage but fails miserably at the implementation stage. Companies should be wary of this critical issue and keep their eyes and ears open at every stage of the implementation.